This 25-year-old athlete completed in Tough Mudders and Spartan races before she was introduced to CrossFit in 2013. In August of that same year, Krystal was in a car accident, which resulted in the amputation of her right arm above the elbow. 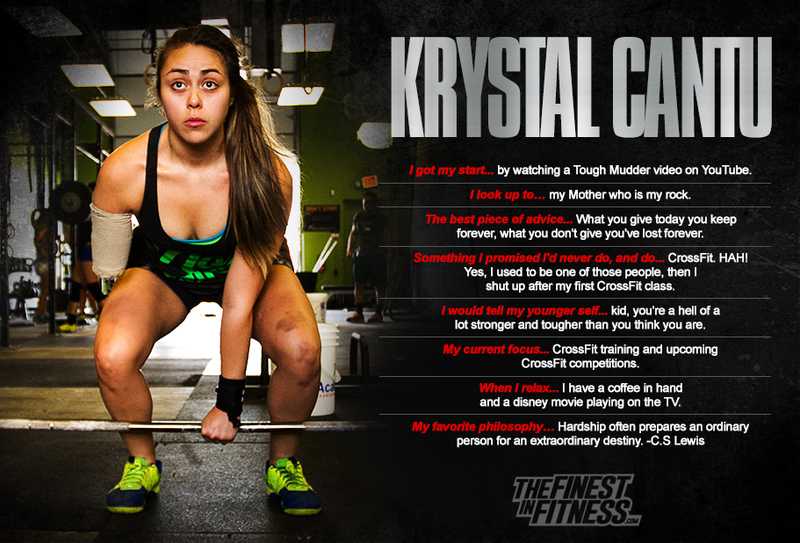 Krystal has gone on to compete in six more events, and is continuously breaking new personal records.